Bringing sparkle and magic into any childhood, this hippo is the sort of gift that a little one will remember forever. Beautifully made by our friends at DouDou et Compagnie, it's a strikingly lovely soft toy with real charm. With its wonderfully soft fur and endearing expression, this adorable new friend is going to become a lifetime favourite! 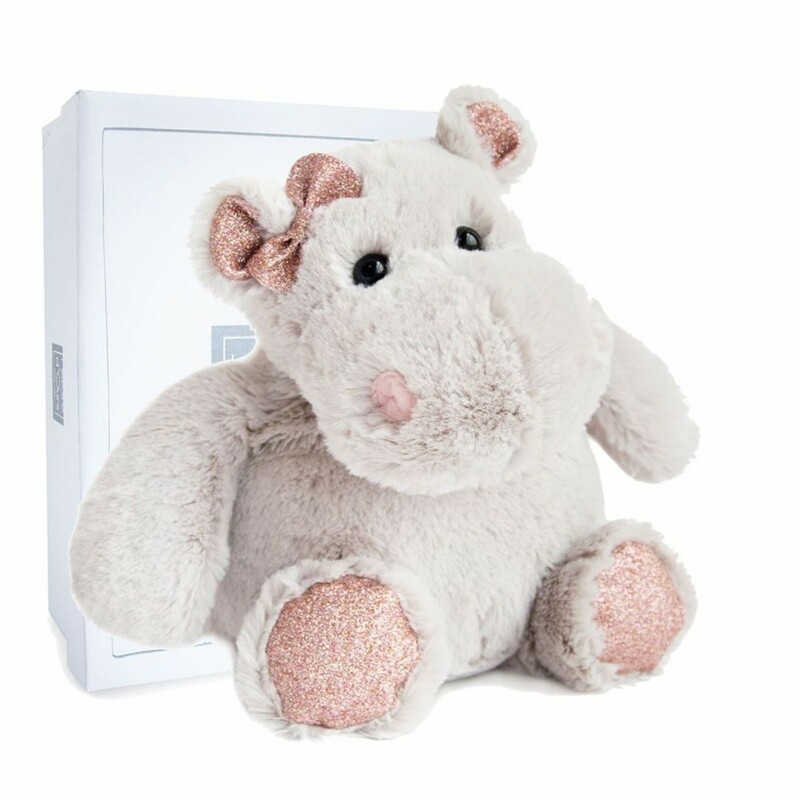 Very soft and uniquely designed, this stunning hippo is ideally sized to make the perfect gift for a new arrival - sure to become a friend for life, it's a gift to keep and treasure forever. We love the gorgeous attention to detail, including the enchanting pink glitter featured on its ears and feet, and the wonderful bow! As with all Doudou et Compagnie toys, your bear will arrive to you in a great gift box, making it an ideal gift that is high-impact, unique and very sweet.